In July, the United States began imposing tariffs on Chinese goods. Tensions between the two nations have showed no signs of abating, with talks about a solution having stalled and both sides preparing new rounds of tariffs in what could remain an unresolved standoff for the rest of this year and beyond. Helen Qiao, the chief economist for Greater China at Bank of America Merrill Lynch, says that an arsenal of policy tools can be used to cushion the impact of China-related tariffs invoked by the United States. In this interview, she analyzes Beijing’s resolve to support growth and the prospect of a trade deal. Maurits Elen: How impactful are the newly announced tariffs? 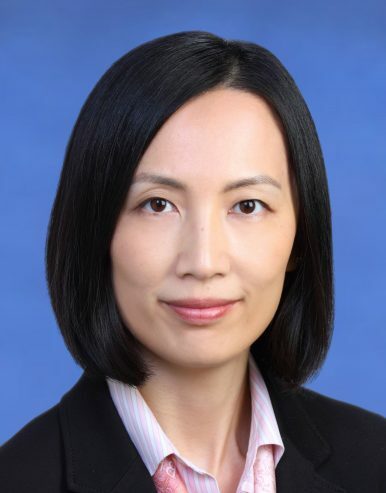 Helen Qiao: U.S.-China trade tensions escalated further, adding more headwind on the manufacturing sector in China. As the U.S. administration is considering an increase in tariffs on $200 billion of Chinese imports by 25 percent (instead of 10 percent), China announced a potential tariff increase by 5 to 25 percent on $60 billion of imports from the U.S. Our analysis shows this new round of tariff hikes will likely hurt both Chinese exporters and U.S. consumers more meaningfully. If implemented, the new $200 billion list and the previous $50 billion list would cover more than half of Chinese exports of machinery/electrical equipment (about 51 percent of total Chinese exports to the U.S.). However, it is very difficult to quantify the impact on China’s overall GDP for two reasons. First, the risk from U.S.-China trade conflicts is constantly shifting. Second, Chinese policymakers will also try to offset the impact of trade shocks with countercyclical policy adjustments. As a result, such effort in estimating the impact on growth under the strong assumption of “holding everything else equal” may not be the most relevant exercise. How does lower growth broadly affect monetary policy? We believe growth weakness as the result of tight financial conditions and uncertainty from U.S.-China trade conflicts has already pushed Chinese policymakers to lean towards a more accommodative policy stance. The People’s Bank of China (PBoC) has shifted away from aggressive efforts in deleveraging towards more easing, which we think will continue in the next few quarters. In what ways can China support growth? Monetary: During the early stage of easing in the near future, we will likely continue to see a gradual pace of monetary policy loosening, featuring both reserve requirement ratio (RRR) cuts and gestures to encourage formal lending to small- and medium-sized enterprises (SMEs), amid some moderate currency depreciation. However, we do not think the PBoC will cut benchmark interest rates, given the narrowing rate differential between U.S. and Chinese government bonds. Investment: As more signs of growth weakness emerge, we expect China to lean towards investment stimulus in semiconductor and other high-tech manufacturing sectors, while reviving the existing infrastructure investment projects. Property: We expect China to stay away from property policy relaxation given still firm conditions in the property market (low inventory, still healthy investment growth, and stable prices). In the case of significant slowdown in growth and/or financial market stress, we believe the government will inject more fiscal stimulus through the infrastructure channel, with a preference on central-government led projects. More measures could include looser implementation of the new asset management rules and government-backed projects in Xiong’an region and the Great Bay Area. At the same time, policymakers will likely adopt administrative measures to stabilize market movement, while reinforcing capital control and reinstalling foreign exchange (FX) intervention to stabilize the yuan. Is this considered policy easing and do you foresee monetary policy divergence between the U.S. and China? Indeed, this certainly is policy easing. As the U.S. Fed is fully committed to its rate hike cycle, the PBoC has switched to an easing bias. The monetary policy has already diverged between the U.S. and China. Open macroeconomic theory suggests that expectation changes in relatively tightness of monetary policy tend to drive short-term FX movements. In other words, the recent yuan depreciation is largely caused by such expectation shift in U.S.-China monetary policies. Given our expectation of the policy divergence to stay, we believe downward pressure on CNY [the Chinese yuan] will likely persist. That said, further depreciation of the yuan against the dollar could complicate the trade negotiations. So far, the yuan weakness does not stand out particularly, as the dollar is strengthening against most currencies. But a further slide to a two-year low of around 6.95 to 7 could potentially trigger, in our view, U.S. claims of a “currency war.” In addition, the risk is that capital control measures will not remain water tight when exchange rate expectations are de-anchored, causing further stress in domestic liquidity. We would expect China to intervene more actively to manage the weakness. Do said easing measures have any adverse effects? Timely countercyclical policy adjustment should be seen to help prolong cycles and enhance growth stability, building a more resilient economic environment for reforms. However, some are worried that premature easing would imply a re-opening of liquidity floodgates, which makes deleveraging objectives even more remote. In our view, we believe Chinese policymakers will avoid such mistakes and pace the easing measures gradually to prevent loosening from going overboard. How likely is a trade deal? Despite the hawkish exchange of tariff threats, the case for compromise is growing on both sides. Going back to negotiations, we think China is likely to offer more imports of U.S. goods and more access to the domestic market. Thus, China could offer the U.S. a much better deal than the EU in exchange for a ceasefire. China has the capacity to buy a lot more soybeans and natural gas than Europe. China’s markets are also more closed than those of the U.S., hence it has a lot more room to increase access. Finally, China has a much easier time doing “deals” because it is one government and has more ways to “command” change. The biggest question is whether this would satisfy the demands from the U.S. There are also limits to what China will want to offer. In our view, China is unlikely to include “voluntary” export restraints (like Japan did in the 1980s) or reduction on VAT rebates (like in 2007), given growth deceleration in domestic demand. After all, Chinese policymakers cannot build a globalist image at the cost of domestic employment.